Barcelona appear to have a genuine interest in signing Ben Woodburn. According to the football transfer rumours in British media, Barcelona are tracking Liverpool forward Ben Woodburn. The Wales international has joined Liverpool in 2007. The 18-year-old has a valid contract with Liverpool until June 2019. Woodburn made 10 appearances across all competitions for Liverpool, scoring one goal. The 18-year-old is considered to be one of the best young forwards in Wales. Ben Woodburn has represented Wales at Under-15, Under-16, Under-17 and Under-19 level, winning 17 caps and scoring 3 goals, before making his senior international debut in September 2017. As a member of Wales national football team, Ben Woodburn has won two caps and has scored one goal. Ernesto Valverde is looking to shore up his attacking options and Liverpool’s Ben Woodburn happens to be a target. He has always been a manager who keeps his eyes on the most talented young players across the globe. 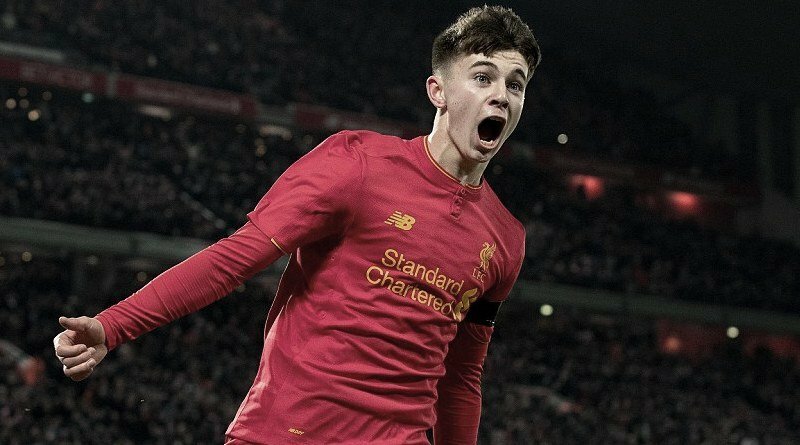 The report claims that Barcelona manager has extensively scouted Ben Woodburn and is considering a move for the forward. The Barcelona manager has kept an eye on Ben Woodburn and he is impressed with the forward’s performances. The 18-year-old would be a very good addition for Barcelona and they can afford him as well. According to the report in British media, Liverpool manager Jurgen Klopp will fight to keep his talent as he succesfully managed with Philippe Coutinho. It will be interesting to see whether Barcelona make their move during the January transfer window.